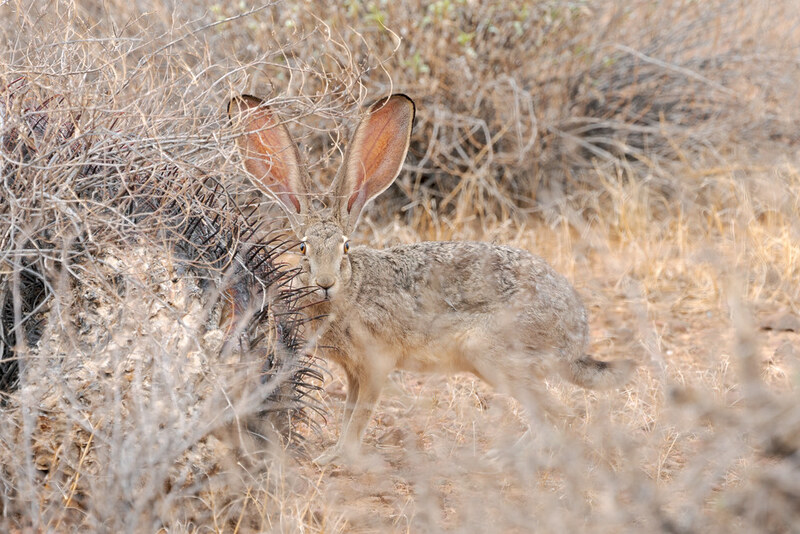 A black-tailed jackrabbit is mostly obscured in the desert scrub but the black tips that dance at the top of its ears caught my eye. This entry was posted in Mammals and tagged Apache Wash Loop Trail, Arizona, black-tailed jackrabbit, desert, hare, Phoenix, Phoenix Sonoran Preserve, Sonoran Desert. Bookmark the permalink.